OK so as I am sure pretty much all of you know, the royal wedding is less than a week away. I am completely obsessed. For one, its like a fairy tale come true with the prince and the tiara and the royalty and blah blah blah. and second I'm obsessed with weddings in general. I have a huge scrap book full with all sorts of clippings and plans and samples from peoples weddings and just a bunch of other ridiculous memorabilia. Sooo needless to say this royal wedding is one of the best things that has ever happened to me. So until this blessed event, my blogs are all going to be wedding themed. I am pretty jazzed. I do not like traditional diamond solitaire engagement rings. I think they are cliche and plain and we are all brainwashed into wanting them. Seriously. Look into the history and the dealings of the company DeBeers and you too will see. I mean look at all our stupid sayings: "diamonds are forever" "diamonds are a girls best friend" and so on and so forth. So basically I'm against diamond engagement rings in general. I feel like there are much more beautiful options that can be tailored to match your personality. Plus people are much more likely to remember your ring if it's different. And remember different doesn't have to mean quirky, it can still mean elegant. So let's explore some options that are anti-diamond solitaire. - I love opals. I think they are so gorgeous. This one is pretty subdued in fire but you can get them in many different colors. I think they are so elegant. This has diamonds surrounding it ,but if you wanted, you could pick a colored gem stone to go around it to pull out other colors from the fire. I love this one. It just feels very classy and elegant and sort of Victorian. Ugh its just really really beautiful. - Ok I know these two rings look really similar but I just happened to pick two rings that are pretty matte in their coloring. Pearls can also have a lot more color to them. I love pearls. I try to wear pearls as often as possible. If somethings has like faux pearls sewn on it I will buy it. No question. 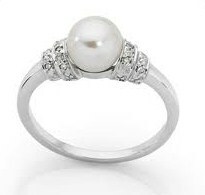 But I love the idea of a pearl engagement ring because it has color and dimension and an interesting shape. I just think it is very romantic. It makes me think of like deep sea expeditions to find the perfect thing to give your bride... ok so yea that went a little far but you get what I mean. - This one is my absolute favorite... pretty much because it is pink. This is a sapphire. Traditionally sapphires are thought of as blue but I absolutely love the pink color they come in. This is what I want to wear on my finger no doubt about it. I feel like it matches my personality and it's just so dang pretty. 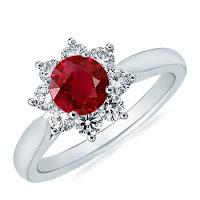 - The ruby is a classic gem stone. 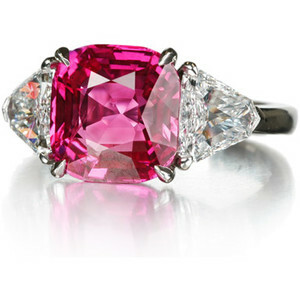 Many celebs and royalty have chosen rubies as their engagement ring stone of choice. Jessica Simpson rocked the ruby engagement ring. 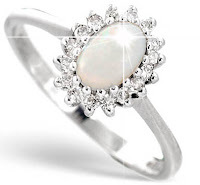 I like this stone and feel like it would go really well with a pale skin tone. Red is such a classic romantic color. The ruby is ideal for an engagement ring. 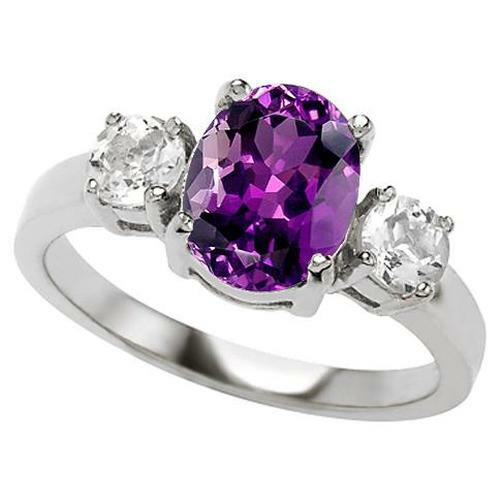 - I like this one because purple is the color of royalty and that is quite fitting for this week! Purple is such a pretty color and it looks good on so many skin tones. I don't actually there is a skin tone it doesn't go well with. The stone just looks so rich and luxurious. Its a decadent stone but it still seems to have a depth to it. It's extravagant without being too flashy which I think makes it a good fit for lots of people! I totally get it that some people just genuinely like diamonds and I think that's awesome. But I think everyone should know you don't have to limit your choices to diamonds. In fact diamond engagement rings are a pretty recent trend. If you look back in history you will see back in the old days, for example the Victorian period where I should have been born, diamonds were not even popular. To sum it all up, there are many different options that can help you express yourself and also keep your costs down. I hope everybody has a great week!!! !